The U.K.’s first Chinese-backed offshore wind farm took a major step forward after three investors reached financial close on the 2.6 billion pound (USD3.8 billion) Beatrice project, in the Moray Firth off the north west coast of Scotland. The 588-megawatt wind farm is due to be completed in 2019 and is 25 percent owned by China’s SDIC Power Holdings Co. SSE Plc owns 40 percent and Copenhagen Infrastructure Partners K/S has 35 percent, according to a statement by the developers yesterday. Beatrice will be funded with 60 percent debt, Gregor Alexander, finance director for SSE, said on an analyst call May 18. It has a contract from the U.K. government to provide power at 140 pounds a megawatt-hour. Siemens AG will supply 84 of its 7-megawatt turbines, with the blades made at its new factory in Hull, on the east coast of England. SDIC Power “will be able to take its experience from constructing Beatrice home to China,” said Tom Harries, an analyst for Bloomberg New Energy Finance. Lack of developer experience and proven home-built turbines has slowed the development of offshore wind in China, though this could change with the country expected to install 2 gigawatts to 3 gigawatts a year in the 2020s. “Beatrice is SDIC Power’s first exposure to the European offshore wind market, and we fully believe it has a promising future,” said Yang Lin, secretary at SDIC Power, according to the statement. The investment also marks a turnaround for SSE, after it said in 2014 that offshore wind wouldn’t be part of its future portfolio, citing “high costs” and “limited” government incentives for the sector. Offshore wind is now “definitely back on the agenda” for SSE, he said, adding that it was also looking at its involvement in the Seagreen zone that it’s developing with Fluor Corp. and the Dogger Bank wind farm zone, being developed in the Forewind consortium with RWE Generation UK Plc, Statkraft Vind AS and Statoil ASA. 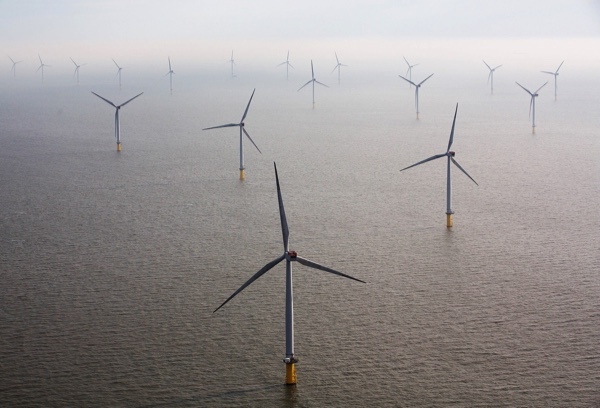 The commitment to build Beatrice takes the U.K. past the 10-gigawatt mark of offshore wind projects that are either operating, under construction or with a final investment decisions, according to the trade group RenewableUK. Even though it has some of the world’s best wind resource, Scotland doesn’t yet have any offshore wind farms. Beatrice could become Scotland’s second project, after Statoil’s floating Hywind project, which this month gained a seabed lease from the Crown Estate and is due to start producing power in 2017. It’s also expected to be Scotland’s largest private infrastructure project, according to the statement.